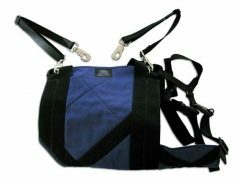 Ellie's Wonderful Webmaster Harness Review is a Winner! 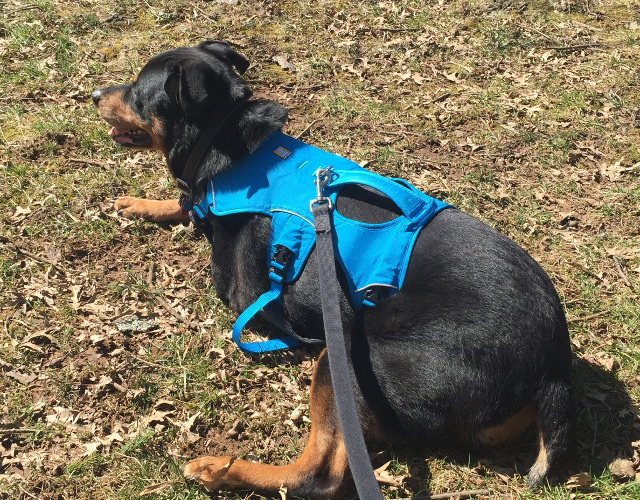 “Ellie is very active and needed a harness to match her active lifestyle. This harness exceeds our expectations,” writes her dad, John. 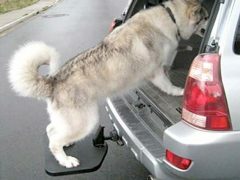 And now he’s this month’s winner of a Tripawds logo sticker for his Webmaster harness review! You can be a winner too! Ellie is a Tripawd warrior who lost her leg to bone cancer in September 2018. Back then, when her worried pop called the Tripawds Helpline, wasn’t sure what to expect after amputation. Ellie put all his fears to rest. 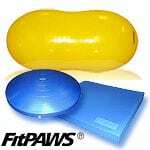 This month we heard from John, who’s winning Tripawds product review is all about the Webmaster Plus. “Miss Ellie lost her left front leg in late September 2018 due to bone cancer. Her previous harness no longer was appropriate for her to wear due to it not staying on her. 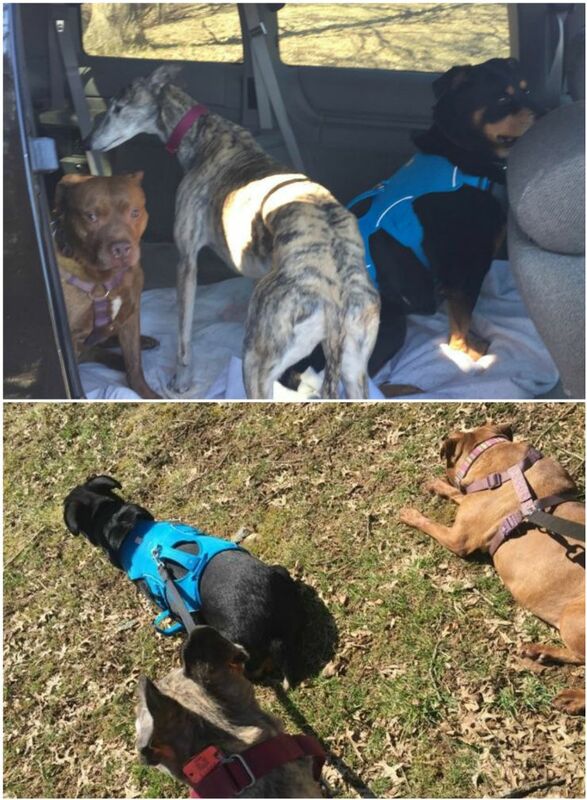 Rosie, Gracie and Miss Ellie have a play date. Ellie’s Doctor and I researched what type of harness will be best for her to give her safety and comfort. 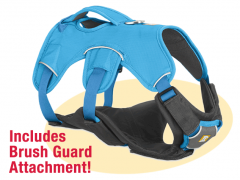 We found the Web Master Plus Harness by Ruffwear with Brush Guard Attachment. 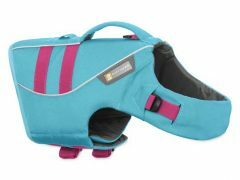 I bought it for her from the Tripawd Gear website and it is absolutely wonderful and fits her like a glove. 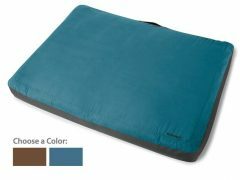 I selected the blue color one and it looks stunning against her black shiny coat. She definitely has safety and comfort when wearing it. Ellie is very active and needed a harness to match her active lifestyle. 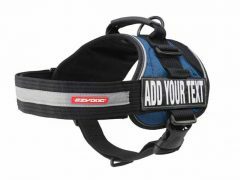 This harness exceeds our expectations. Introducing Ellie to the harness. 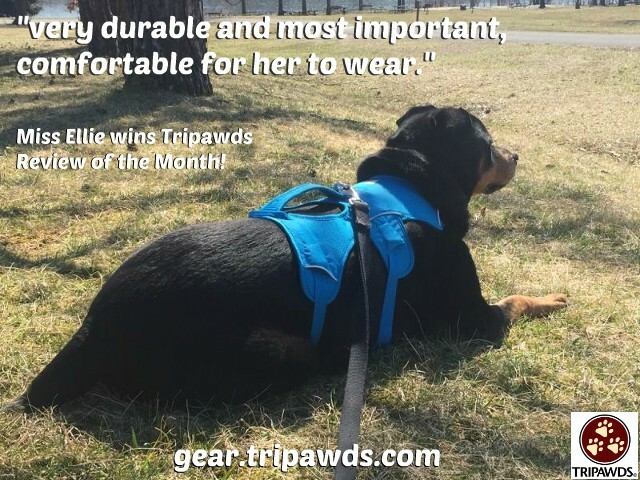 Every month three lucky winners will be randomly selected from all reviews left that month in the Tripawds Gear Shop, and chosen to receive special Tripawds prizes! 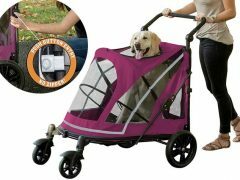 You may win FREE Tripawds Downloads, coupon codes for more gear, jewelry and tags, or e-books, buttons, stickers, bandanas and beyond! Your review is your entry ticket for cool bling to show your Tripawd Pride. 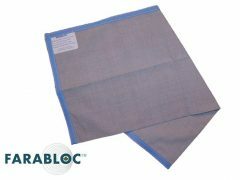 Winners will be contacted via email by the 5th of each month. are Your Ticket to Win! Can Your Tripawd Solve This Cat Brain Game Puzzle?